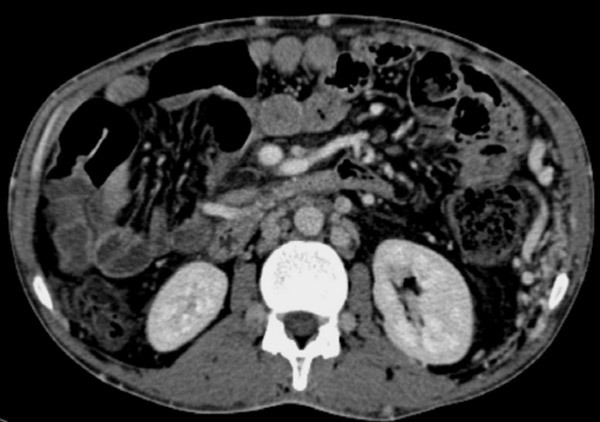 A 47-year-old man with abdominal pain, lower limb edema, and diffuse subcutaneous venous dilatation presented to the emergency department. His medical history included previous hospital admissions for recurrent thrombosis of the lower and upper limbs as well as of the jugular veins. Peripheral color Doppler ultrasound did not demonstrate evidence of deep vein thrombosis of the lower limbs. Contrast-enhanced MDCT of the thorax, abdomen and pelvis was performed to rule out obstruction of the vena cava system.